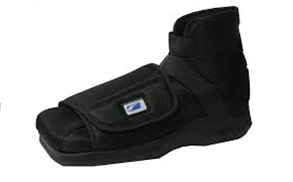 Rehabilitation footwear such as the Bodymedics Canvas Post-Operative Shoe is suitable wearing following foot surgery. 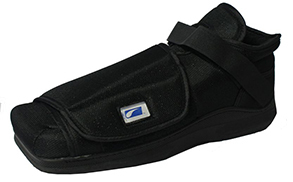 This particular shoe has a durable soft padded upper and return through velcro fasteners to accommodate the bandaged foot comfortably. 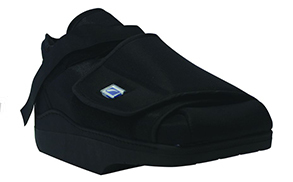 If you are wearing a cast, the Bodymedics Black Deluxe Cast Sandal will be particularly helpful, especially with its 3 layer EVA construction for additional shock absorption. All our products are Latex FREE. 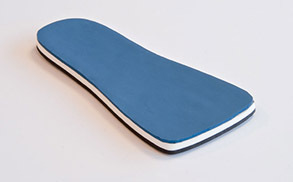 For patients with ulcerations, infections or trauma to the soft tissues or bony structure of the heel, take a look at the Heel Wedge Off Loader. This shoe is hard wearing with a simple velcro fastening structure and is proven to be very effective at distributing the weight away from the heel area.